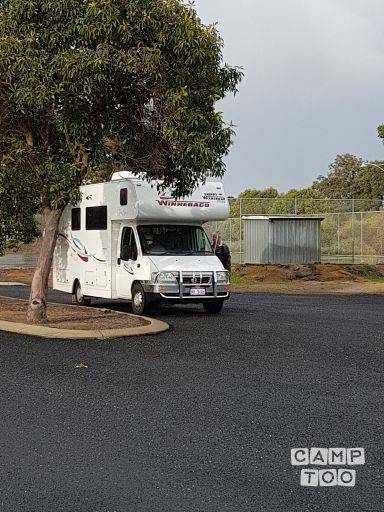 This is a well appointed motorhome, and has never let us down and we know that it will be a great addition to your trip. We have everything needed to not miss the comforts of home. A great little kitchen will have you whipping up dinner delight. There is nothing better than having a glass of wine under the great WA sky after a long day of travel. We also supply outdoor chairs and tables if you want. Imagine being able to have a hot shower in the evening? Very fuel efficient for your adventures around WA. Je kan de camper ophalen in South Yunderup bij Karen. Je kan je auto hier gratis parkeren.